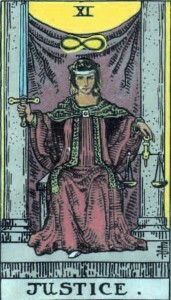 Looking at this transit from a Tarot perspective, it’s like the Magician is wearing Justice’s clothing. He’s put down his wands and taken up the scales and sword. The Magician is quick, focused, and inspirational. He thinks fast, moves fast, and can talk like an angel. He has clarity of mind, determination of will, and a firm confidence that he can succeed. His communication skills are unequaled, and at his best he uses them to motivate and clarify. You can’t always trust him, but you can be sure he’ll open your mind. Justice, on the other hand, is a little more somber. She too is clear thinking, but more concerned with balance than speed. 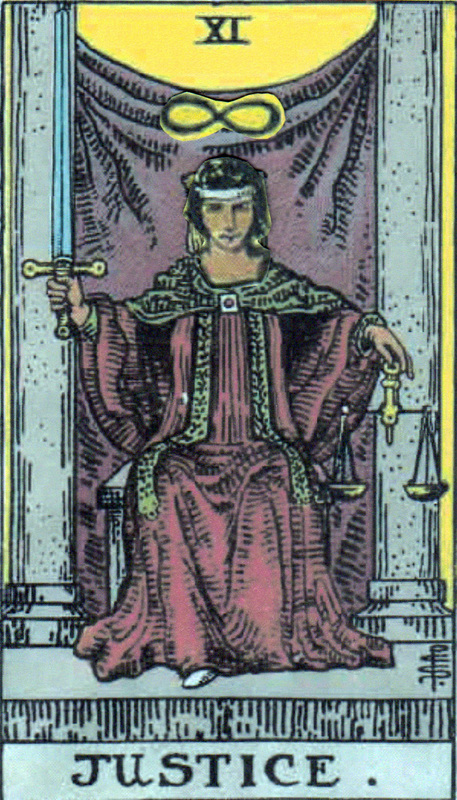 She’s the goddess of universal law, powerful and fair. She watches, evaluates, and realigns the world when it wobbles. Justice seeks truth, even when it’s less than palatable. She’d rather know what needs fixing, than think all is well. The Magician enjoys having the power of the law behind him, though he’s less excited about having to play within the rules. But if he has to he will, and he can do it with grace. Mercury in Libra, or the Magician in Justice’s clothing, can be a time of intellectual clarity, quick decisions, and balanced inspiration. Use it to make the choices that have seemed cloudy till now. Arguments on both sides should be clearer, and what’s right for you apparent. Questions of fairness and balance are highlighted, especially within matters of communication, travel, relationships, and the law. Be inspired, stable and clear, and the world’s ruling will be in your favour.